1. When Jesus lived on earth what did He do? a) He went from place to place teaching and helping people. b) He just went fishing. 2. Why did all the people want to see Jesus? a) He gave them candies. b) He was always ready to help anyone. 3. What did one of the men try to do when the children came near Jesus? a) He tried to send the children away. b) He smiled and gave them a hug. 4. How did the children feel about being turned away from Jesus? b) They were happy to go and play. 5. What did Jesus say to this man? a) "Thank you for sending the children away." b) "Do not send the children away. 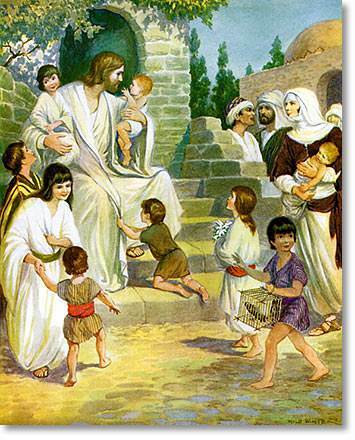 Let the little children come to me, and do not hinder them." 6. What did Jesus do for the little children? a) He took them into His arms and loved them. b) He played games with them. 7. What did Jesus do for the older children? a) He talked to them and asked the heavenly Father to be with them. b) He took them fishing. 8. How did the mothers feel about Jesus paying attention to their children? a) It made them sad. b) It made them glad. 9. 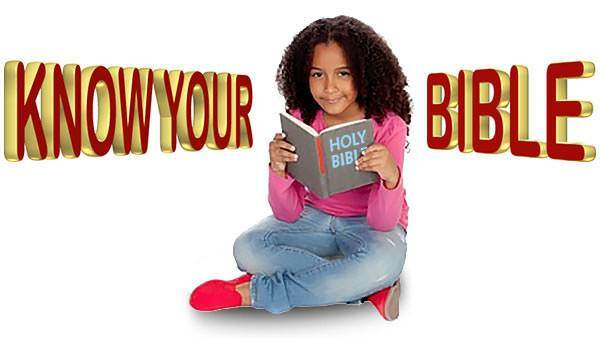 Did you learn your memory verse?